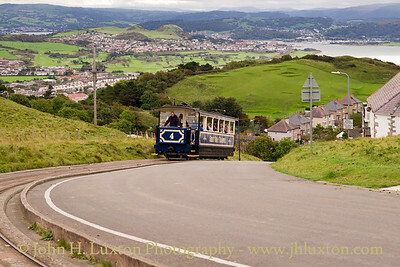 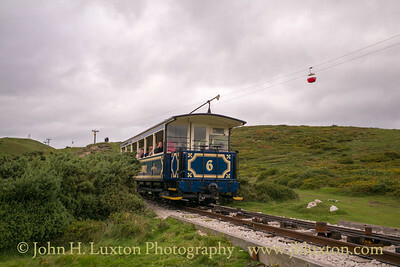 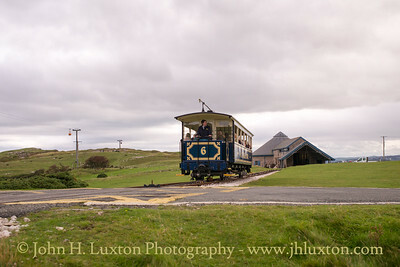 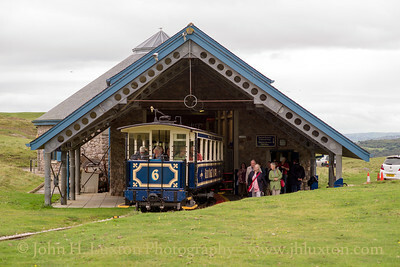 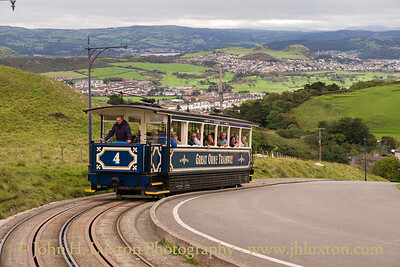 The Great Orme Tramway (Welsh: Tramffordd y Gogarth) is a cable-hauled 3 ft 6 in gauge tramway in Llandudno, Wales. 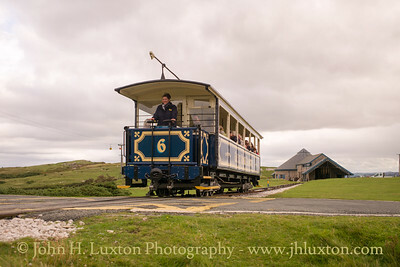 Open seasonally from late March to late October, it takes over 200,000 passengers each year from Llandudno Victoria Station to just below the summit of the Great Orme headland. 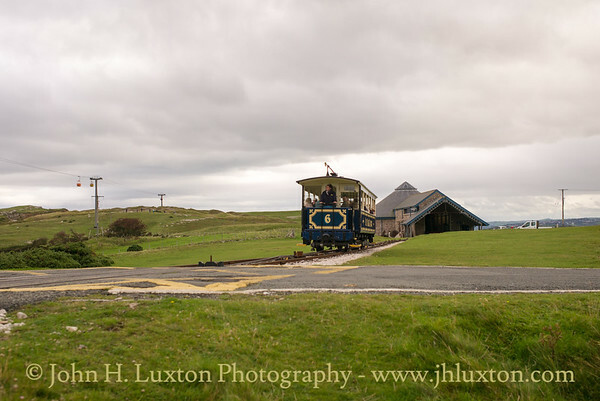 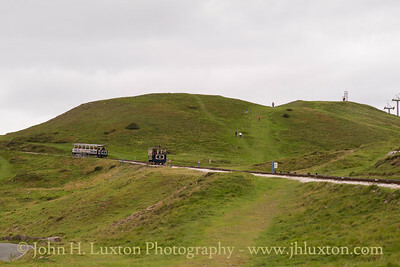 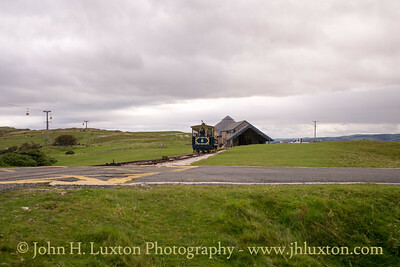 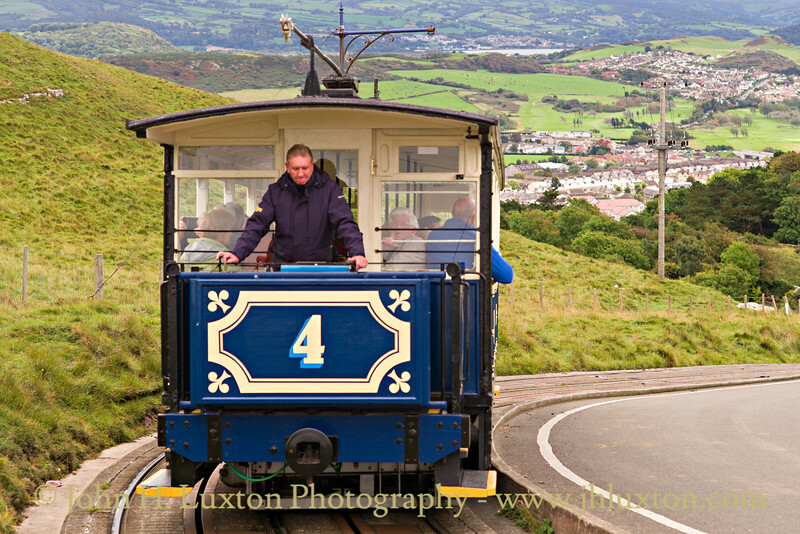 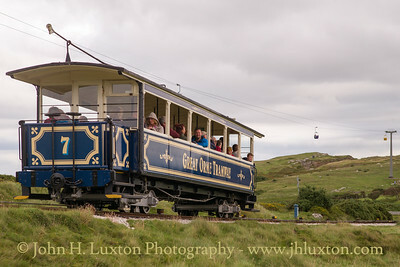 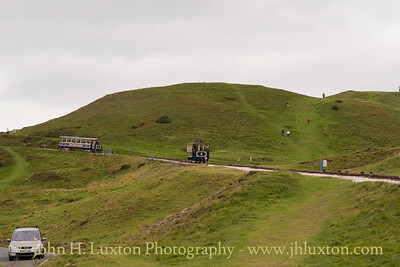 From 1932 onwards it was known as the Great Orme Railway, reverting to its original name in 1977. 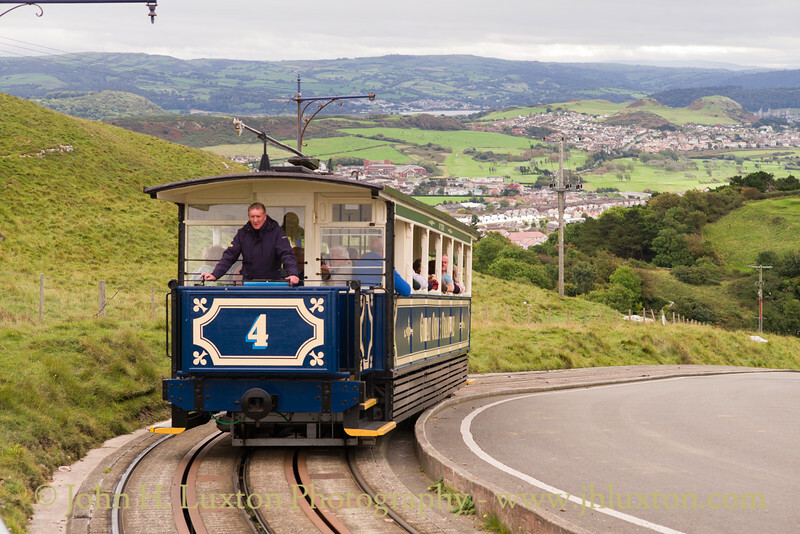 This is the only remaining cable-operated street tramway in the UK, and one of only a few surviving in the world, and it is owned by Conwy County Borough Council. 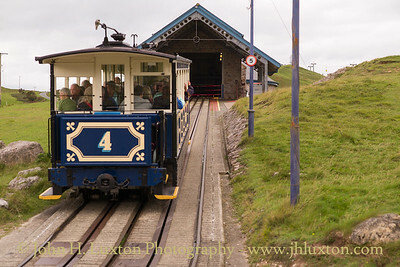 The line comprises two sections, where each section is an independent funicular and passengers change cars at the halfway station. 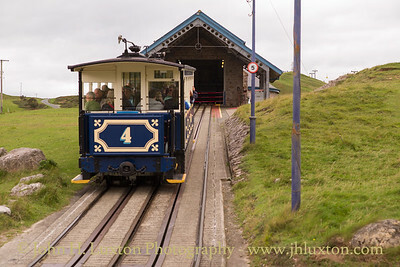 Whilst the upper section runs on its own right of way and is very similar to many other funicular lines, the lower section is an unusual street-running funicular. 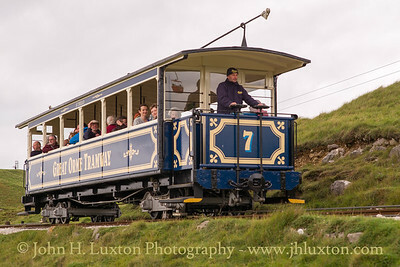 Car 7 descends towards Half Way Station. 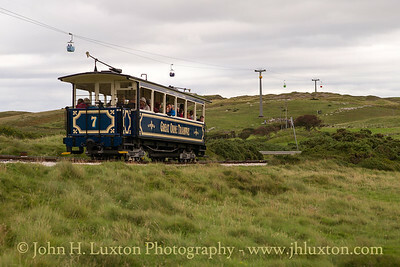 Cars 6 and 7 approach the upper section passing loop. 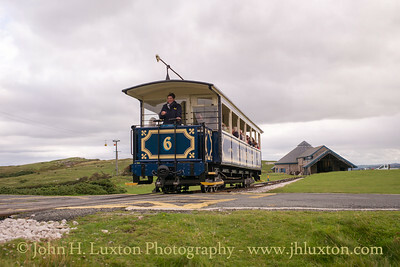 Car 6 Approaches St Tudno Road Level Crossing. 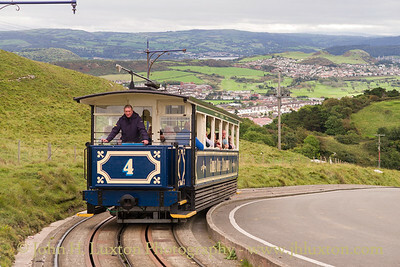 Half Way Station can be seen in the background. 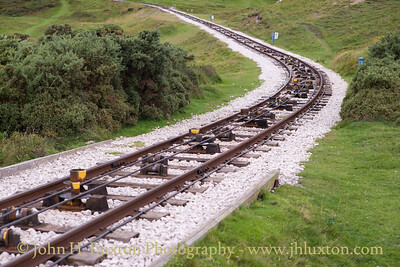 The open track on the upper section near St Tudno's Road. 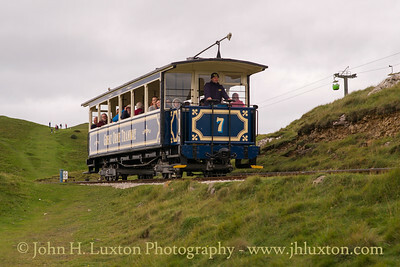 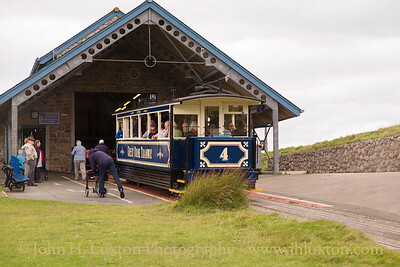 Passengers board car 6 at Half Way Station bound for the Summit. 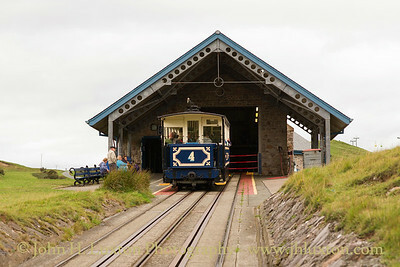 Car 4 heads towards Half Way Station.